Looking to improve your camping rig without buying a Van? 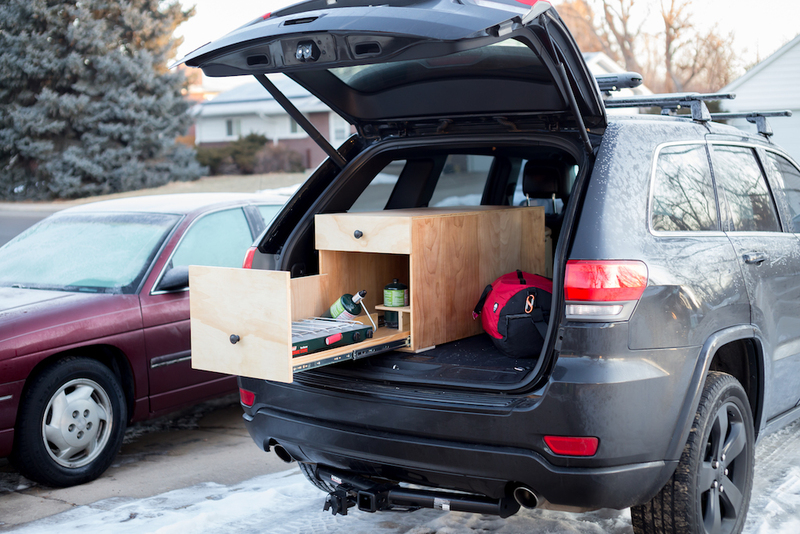 We build custom kitchens, storage and bed platforms to fit your vehicle helping to take your Jeep, Subaru, or Truck to the next level! Call us for a quote, we can build to suit everything from a basic kitchen, bed or storage to a full luxury base-camp with running hot water, power and lighting. Similar to our van conversion project workflow, below are the steps we follow for customer vehicle buildouts. Give us a call or send us an email. We would like to learn more about the build you have in mind and to answer any questions you might have about Roaming Ingenuity. At this point, we want to gather as much information on your ideal build as possible, the more info, sketches, photos or design ideas you share with us the better! If you are local or would like to make a trip to Colorado to meet in person, we are more than happy to do so, otherwise, we can also meet over the phone or via Skype. We believe in providing superior customer service and make every effort to accommodate our customers. When it comes to building out a vehicle there are a number of factors such as make, model, components, material, and labor all of which affect the final price. Given that our build-outs are a fully custom one-off production we need to discuss your buildout needs before we can provide you with an accurate estimate. If you decide to go with a Roaming Ingenuity vehicle buildout, a non-refundable deposit is needed to reserve a production spot and then we move to stage 2. Now the fun starts! At step 2 we create a virtual 3d model of your buildout, laying out the floor space, components, and your design specifics. Once we have settled on a design we will provide you with a detailed estimate for your conversion and begin finalizing plans to drop off your vehicle. Drop your vehicle off on your production date and we will take it from there! We require a 100% material cost and a 50% of the labor up front and the remainder upon completion. Design changes are still possible at this point, however, additional materials, labor and a redesign fee will be added to the conversion total. Completion! Time to pick up your vehicle and start Roaming.